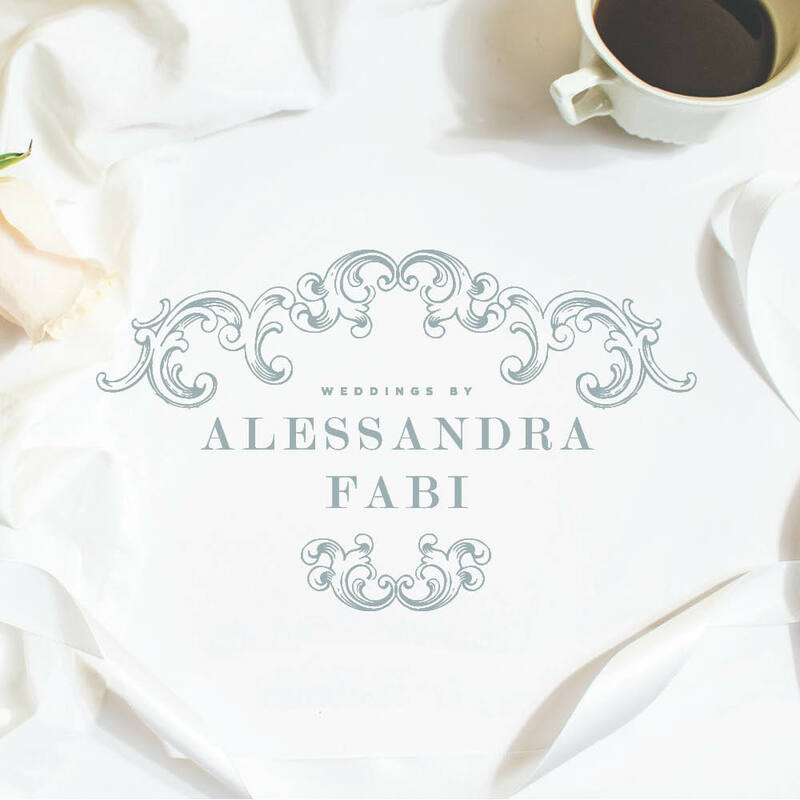 Italian Wedding Planner Web Design Doodledog would like to introduce our latest project for the talented Alessandra Fabi. 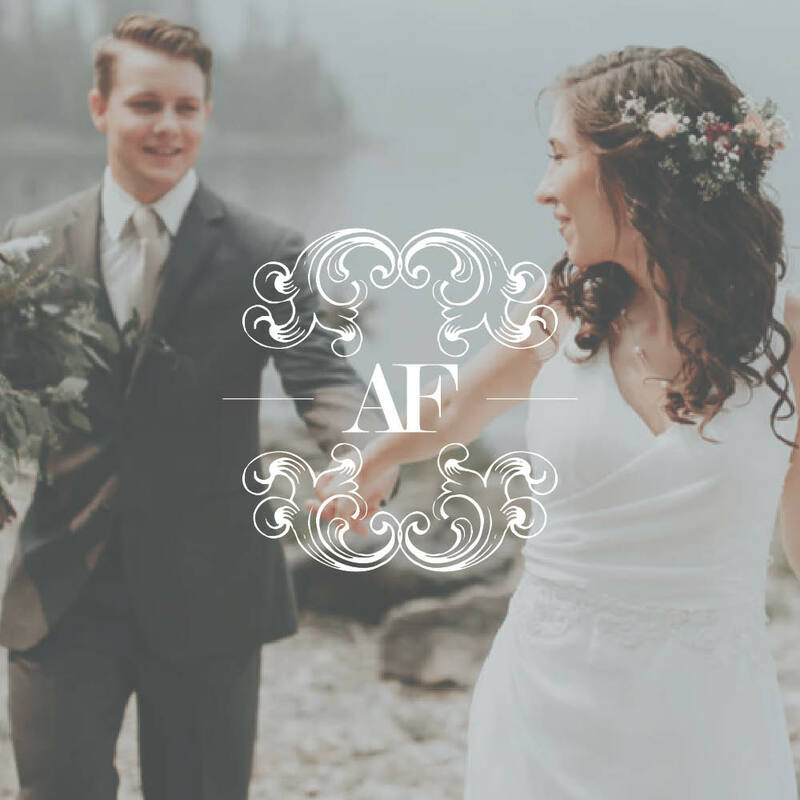 She is an Italian wedding planner who was looking for a web design and brand to branch out on her own.Alessandra has planned weddings at places such as Lake Como and the Italian Riviera and pays special attention to details. Similarly, we focused on details of the architecture surrounding Italy, particularly the Baroque style. The architectural flourishes framing her name created a timeless logo that would appeal to couples with sophisticated style and a love of old world culture. 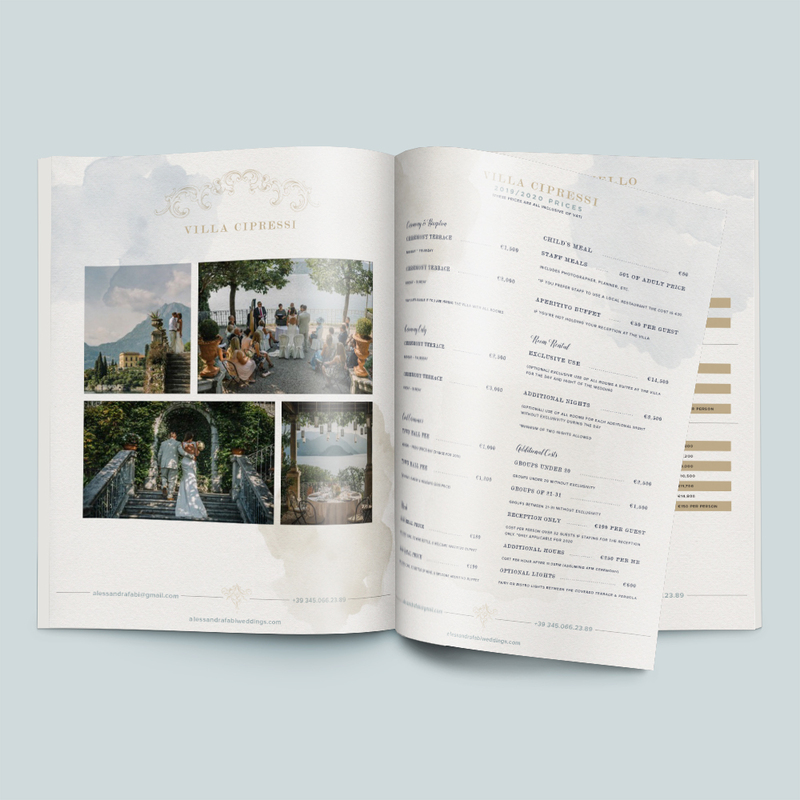 While creating a seamless brand we also developed a custom website, incorporating delicate watercolor details to the background and key imagery. 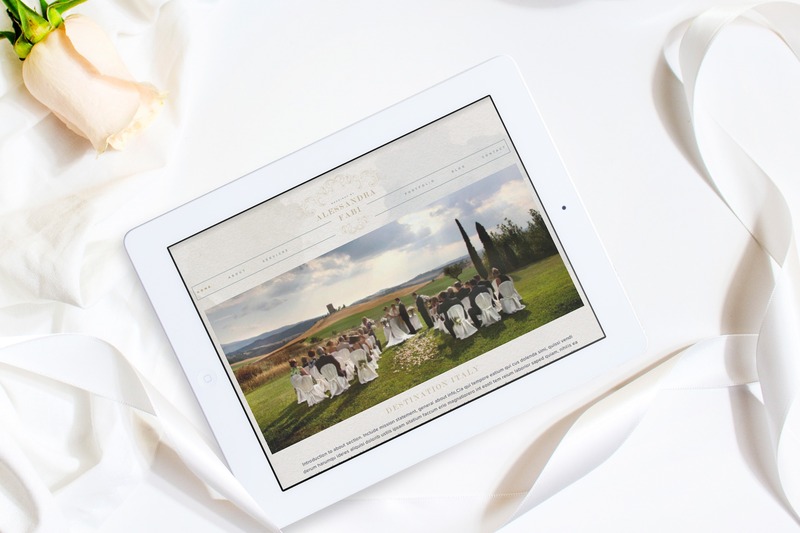 The result is stunning, sophisticated site that appeals to those looking for a destination wedding in Italy. Go check out her live website and view her stunning portfolio. 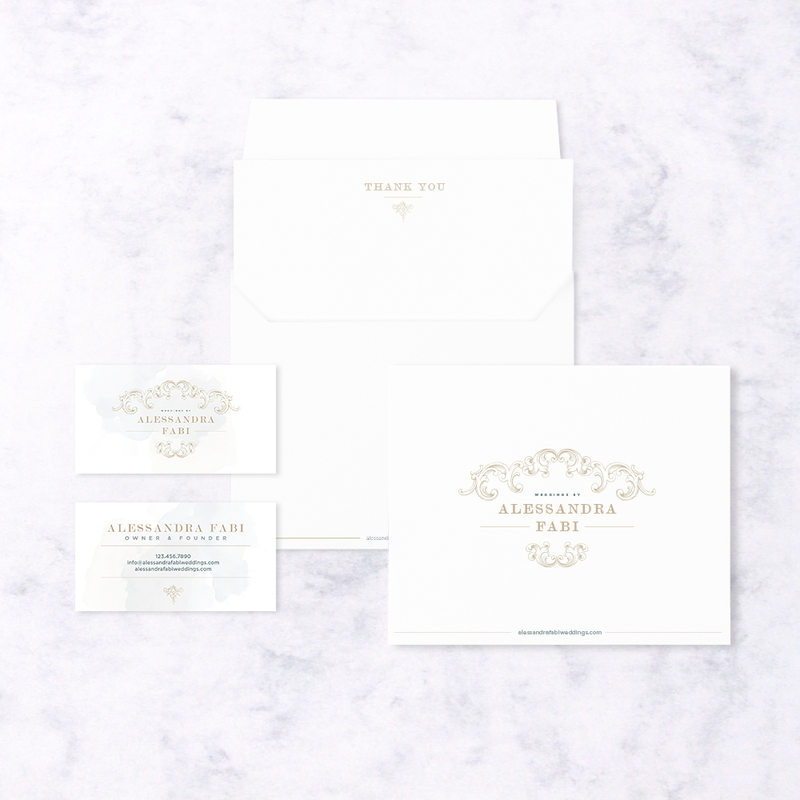 To view more wedding planner brands on the blog go here.